Why it’s this week’s Best Bite: I ventured over to Masa Azul while on a post-thunderstorm walk one evening, in the mood for a refreshing drink and something sweet to go with it. This was my second visit to Masa Azul, although my very first experience with head bartender Jenny Kessler’s cocktails was at Lula Cafe’s “Violent Hour” Halloween transformation last year. The delicious drink involved mezcal, apple cider, malbec, and serrano pepper, and I’ve jumped at the chance to try more of her imaginative combinations ever since. The Mexican Firing Squad was a nice balance of fruit, fizz, and smooth tequila flavor, and was ideal for sipping out on the sidewalk patio. The miniature round churros, the restaurant’s sole dessert offering, were pleasantly unique, with a soft center and plenty of citrus from the orange zest. I also liked how well the bittersweet chocolate sauce evened out the sugary fried dough. Together, they made a summery drink-dessert pairing that I’d go for again – although with so many interesting options, I doubt I could commit to the same cocktail twice. The details: Masa Azul, 2901 W Diversey Ave., Chicago. Why it’s a Best Bite: Xoco is one of those places I want to take everyone who comes to Chicago – it showcases Rick Bayless’ renowned Mexican flavors, but is still accessible and quick. On this particular occasion, it was my mom and uncle who got to sample tortas and pozole over a late lunch. 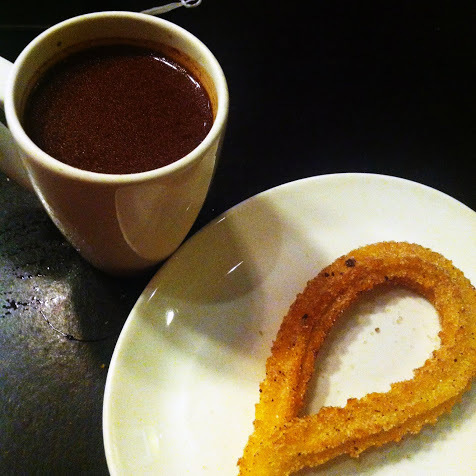 To me, though, you can’t leave Xoco without ordering two signature items: churros and hot chocolate. Airy and crisp, with lots of cinnamon-sugar and hints of corn from the flour, these churros are in a class of their own. The drinking chocolate, made from freshly ground Mexican cacao beans, comes in a few variations, but I favor the warm spices of the Aztec, with chile powder and allspice. 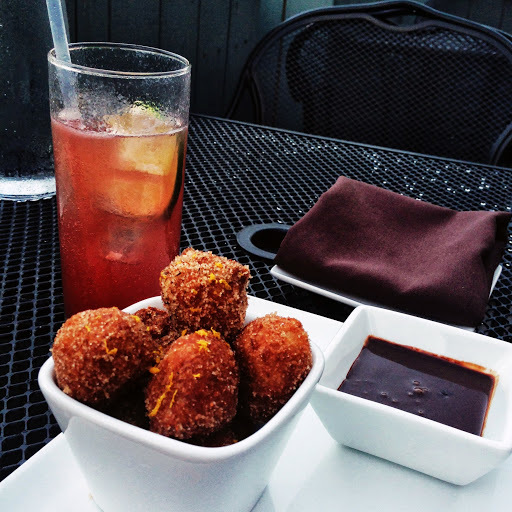 This pair is among my very favorite treats in River North, and best of all, it’s justifiable any time of day. The details: Xoco, 449 N Clark St., Chicago.